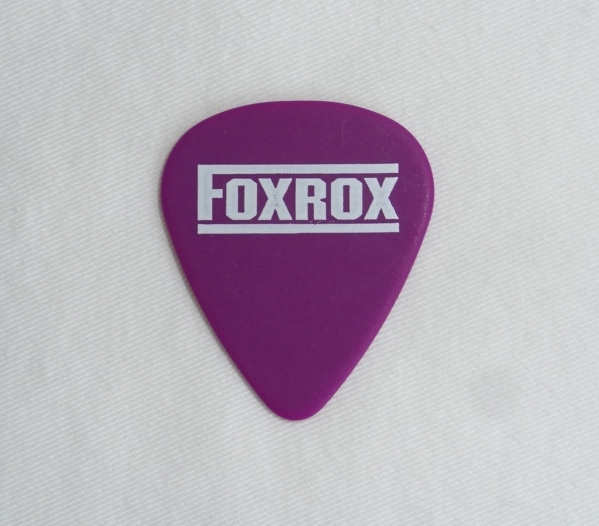 Stock up on Foxrox guitar picks! Foxrox pedals have always included a couple picks, and over the years, tons of people have asked if we sell them. Now we do! 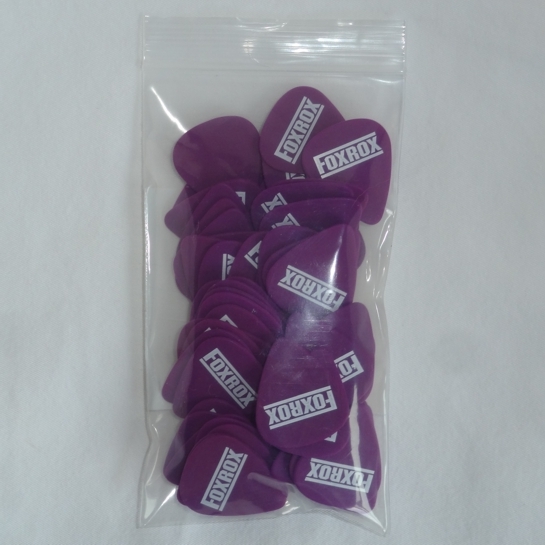 Foxrox picks are purple 1.14mm gauge Delrin® Style 351 picks. A thick, sturdy guitar pick that won't wear out. We offer free shipping everyday for all U.S. pick orders.